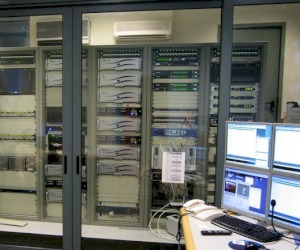 3 channel Playout Automation (MATIC) with full control of EVERTZ master switcher (QMC-2), On air CG (VSN), Logo inserter, Xenon 64Χ64 router (EVERTZ). Archive system (LTO4)The audio/video processing was implemented by using the quality products of the EVERTZ. 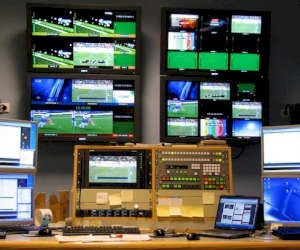 Also, the monitoring system was implemented by using the VIP Advanced Evertz series of multiviewers and LCD HD monitors from SONY (FWD-S47H1). 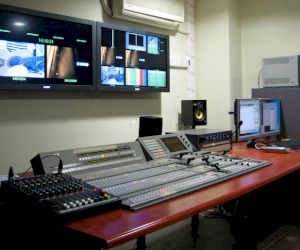 The studio and the production facilities are powered entirely by SONY, with cameras DXC-D55, robotic cameras BRC-300 and 3ME DVS series vision mixer.